The Forward Observer (5969) was another Sears exclusive, for 1966. 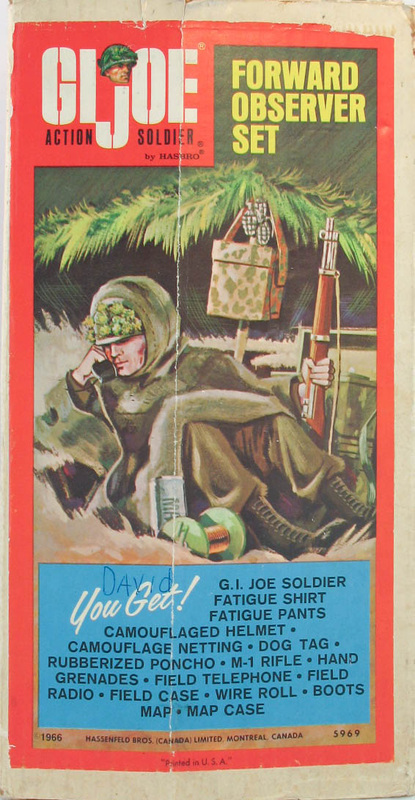 Contents were the poncho, marine communication, camouflage netting small cards along with a GI Joe, helmet, and M-1 rifle. 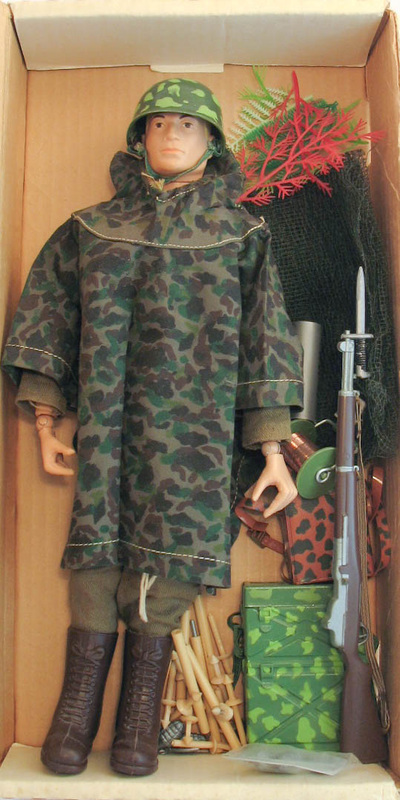 The figures usually came in camouflage fatigues, though the Canadian issue set below came with green army fatigues.